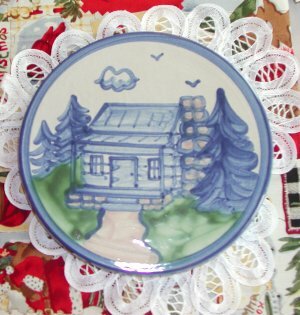 The 1 scene of the "Log Cabin Pattern" is pictured below. Click here to view other patterns and scenes. Click on any of the Green Tabs below to order any M. A. Hadley Pottery item.